So Pokemon Go is a very popular trend right now on almost any website you go to. This has inspired me to write about Pokemon Go and how UAT's student have been running all around Phoenix and Tempe. I'm sure if you're a fan of the Pokemon franchise at all you've probably been baited into picking this mobile application up. Despite the server issues, battery drainage, and other issues the app is having Nintendo's stocks are up 25%, so they're making quite a bit of profit. As soon as Nintendo put the game out in different countries, many people were able to hack the game and get it on their phones. This caused the game to be released early in America. Ever since then students here at the University are running around Tempe trying to catch Pokemon and fight over the gyms that are nearby. First off if you're not a fan of Pokemon or, surprisingly, have no idea what Pokemon Go is then let me explain a bit before I go on. Pokemon Go is a mobile app that allows you to catch Pokemon. It uses your camera to place the Pokemon in front of you or somewhere around you so you can throw pokeballs at it and catch it. This app used Google maps to track your location so you can go to what they call "pokestops." These pokestops are places like UAT's front desk or the Founders Hall building that when you walk by them or are in their vicinity, you can get rewards like more pokeballs or Pokemon Eggs. Essentially they are popular markers on Google Maps. The eggs you get from pokestops can be put in an incubator that you have to walk either 2, 5, or 10 kilometers to get it to hatch. There are other kinds of stops that are Pokemon Gyms. Each Pokemon has a "combat power" or CP number. This determines how strong your Pokemon is. Trainers can battle each other to take over gyms. When the player reaches level 5 they get 3 options to choose what team they would like to be on. There are 3 teams, Team Valor, Team Mystic, and Team Instinct. Many players believe that these teams are related to the original Pokemon games and the legendary Pokemon that you could catch Moltres, Atricuno, and Zapdos. When you battle a gyms and defeat the gym leaders, if you are on a different team as the trainers you just fought then you will change the gym to your teams gym. 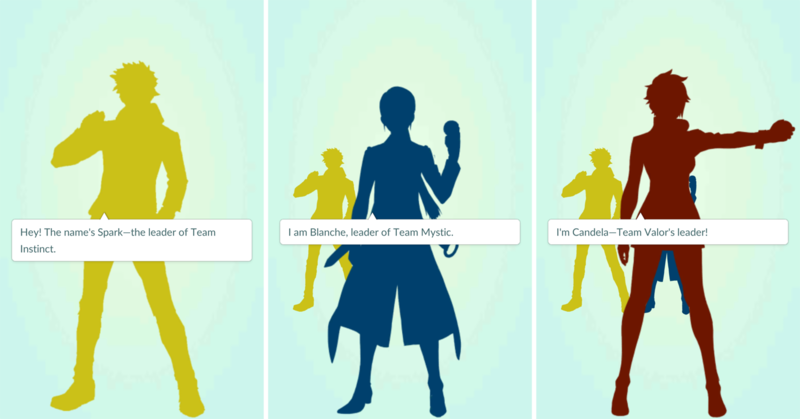 If you are on the same team as the current gym leader you will be added to the roster for that gym. There's a lot more to this game and I encourage you to play it to understand how fun it is. The day Pokemon Go was released students here at the University were running around trying to catch all the Pokemon in the area. The Arizona Grand Resort that is right next to UAT has around 20+ pokestops that our students frequent a lot. On the first night of the release there were groups of students out walking around at 2 or 3 in the morning just trying to catch everything they could. It's actually kind of funny to see so many people dedicated to one thing. 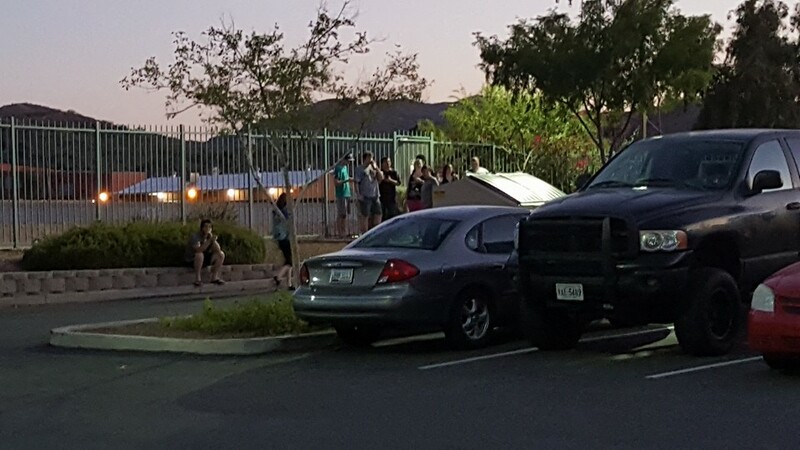 In the photo below you'll see a bunch of students here at UAT crowding a pokestop that is in UAT's parking lot. Right across the street from the University is a Pokemon Gym. Our students are constantly battling over which team is controlling the gym. It's nice to see students running over there to battle the current gym leader. I'm pretty sure that the gym changes teams at least once a day. This weekend my roommate and I had our internet go out at our apartment so we took a drive to Tempe marketplace to catch Pokemon. It was a lot of fun because we were able to catch a couple rare, strong Pokemon! UAT's students have definitely embraced this application and made it something that we can all play together. The day after the game came out students had already created team facebook pages and Pokemon Go community pages where anyone can help others or announce popular Pokemon locations. I really like this app because it's not just within UAT, it's everywhere. It's bringing strangers and community members together and getting them active. Overall Pokemon Go has taken over almost all social media. You'll find funny meme's everywhere you go as well as some pretty good articles. Throughout my searches of the app I found one article that just made my day. The article here is about the 10 worst places to play Pokemon Go. There are examples such as: on the side of the road after the cops pulled you over, or at the hospital while your wife is in labor. Aside from all of the funny articles and meme's there's actually a bunch of helpful and informative posts as well. This article here talks about most frequently asked questions about Pokemon with detailed answers to help you out a lot. Other posts and facebook groups have been created for the sole reason to help others out. This game is definitely bringing a lot of people together to play together and to get active together.